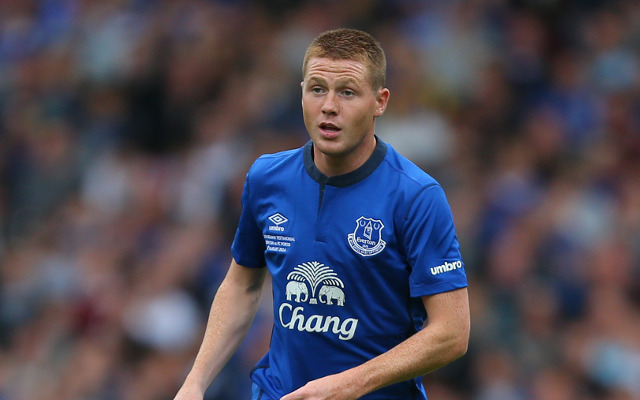 The signature of Everton midfielder James McCarthy is set to become one of the most sought after commodities of the January transfer window, with Manchester United, Manchester City and Tottenham all interested. Everton are yet to open contract talks with the midfielder, despite the fact that the club are understood to have made promises to improve terms based on his performances, targets which McCarthy believes he has met. Reports in the Daily Star explain that the 23-year-old, who joined last year in a deadline-beating move from Wigan, agreed to a contract that was hurriedly put together to ensure the £13m move went ahead in time. The source adds that, despite recent noises that the club were poised to sit down an open negotiations, talks have yet to take place. The Premier League trio of United, City and Spurs are all now watch proceedings with interest. McCarthy, who is an Irish international, has already played 43 times for Everton, and is viewed as a key player by manager Roberto Martinez, who also coached the player during his time with the Latics.